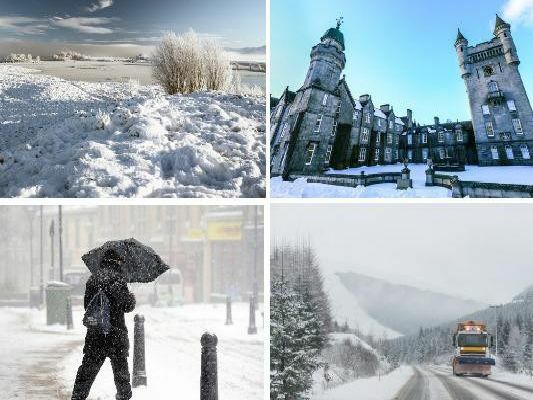 This time last year was the renowned Beast from the East, which saw Scotland hit by below freezing temperatures and heavy snowfall - breaking weather records not seen for decades. We take a look back at this time last year in comparison to the current weather - and the iconic images which show what happened when the Beast from the East hit Scotland. In the final few days of February 2018, Scotland steadily became colder. There was less cloud on 24 Feb but it was colder. February 25 2018 in Scotland started with a widespread moderate frost, with persistent cloud through central parts and along the east coast, and almost unbroken sunshine everywhere else. Today will be a very mild day, with most areas set to stay dry, with plenty of bright spells throughout the day. Winds light. Maximum temperature 16C.